Interested Filmmakers and Bands should contact us to register. Bands and Filmmakers must purchase a membership for each member of the Band/ Production team to compete, THIS IS YOUR REGISTRATION FEE. Registered Teams will have access to WAMP equipment. Normal WAMP rental policies apply. In the event that we have an odd number of teams to bands then we will draw both to see who will compete; at this stage if your band is not selected your fee will be refunded. You can drop off the fee at the WAMP office (cash or cheque) or visit www.wamp.ca and send us a “donation” via PayPal (which also excepts credit cards). Videos Due: 1 pm, June 27th. Late submissions will be disqualified. 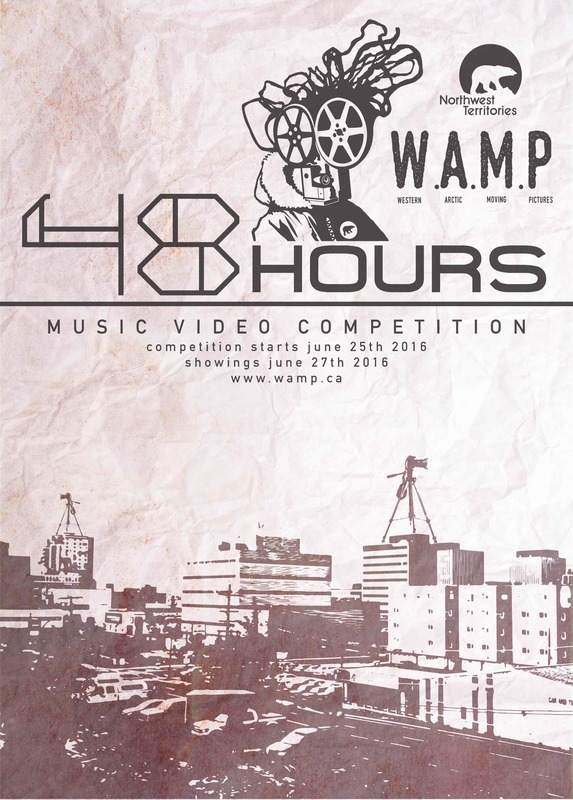 Music Video Property Rights: Shared ownership (Band/Filmmaker(s)/WAMP). If any of these owners do not feel the product properly represents them, they have the right to refuse association and have their names removed from the final product after the contest is over. Format: Submissions must be .MOV files, submitted by flash drive, portable hard drive, or DVD/ Blue Ray Data Disk. *Prizes are intended for video teams not Bands/ Musicians whom receive a music video for their efforts at a very reasonable price.